Choosing between freezer tape and masking tape is pretty straightforward. Each tape has it’s specialty areas. We will help you, select the right tape. This versatile tape comes in a variety of widths and lengths. It’s most popular use is to cover surfaces from being painted. It is also used in plenty of other situations ranging from labeling parcels to packaging boxes. 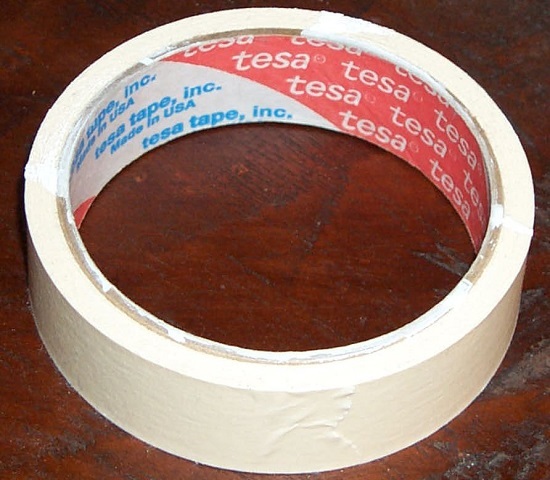 Masking tape has strong adhesive properties, which ensures it sticks to surfaces properly. It can also be peeled off easily without leaving behind any of that frustrating, sticky residue. This tape is designed to stick firmly to various surfaces such as paper, plastic wrap, and aluminum foil, making it ideal for kitchen use. It’s primary use is to seal food when placed in the freezer, thereby allowing it to stay fresh longer. So if you were wondering how to seal off that container of food you just put in the deep freeze, this is your answer. Check prices on Scotch Freezer Tape . Used everywhere, from the automotive industry to simple little household chores, masking tape has found its place at the very core of everyday life. It is pressure sensitive and can be peeled off with ease whenever required. Moreover, while it has strong adhesive properties, the glue used doesn’t damage the surface underneath. Because of this, it doesn’t damage the walls when used to mask off areas while painting. To top it off, it is because it doesn’t leave behind any sticky residue that you don’t need to scrub your walls clean after a newly finished paint job. But while this is the most popular use, it has also been used to label boxes, books, and other items. This is because it is made from paper which can be easily torn using one’s hands alone. You won’t need to run around looking for a pair of scissor to cut this tape. This tape is really beginning to gain popularity. More and more people are realizing how useful it is, therefore employing it to keep their food safer, and fresher for longer periods of time. Before freezer tape, people often used masking tape and duct tape when it came to labeling food which was stored in the freezer. If you have ever tried, you will know neither of these tapes holds up very well in colder temperatures. Freezer tape, on the other hand, has been specifically created to stand these temperatures. But this isn’t all, it can also be used to create a moisture free seal to save your food from freezer burn. So this way, when you are storing food in the freezer, you needn’t run around looking for aluminum foil or plastic wrap to seal your food up. You can just use this tape to label and seal it instead. 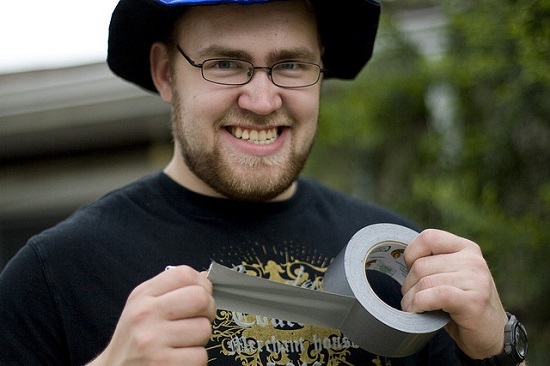 This tape is also microwave safe, as can withstand extreme heat as well as the freezing cold. Unlike freezer tape, masking tape does not adhere well at colder temperatures, and isn’t safe in the microwave either. On the other hand, Freezer tape has been specifically designed for freezer and kitchen use. Freezer tape doesn’t come with the ingenious adhesive properties of masking tape. Therefore, it doesn’t tear or peal off quite as easily. This, however, is an important advantage necessary for it to form a moisture-proof seal. After all, if you use this tape to seal your food, it’s best that it doesn’t tear easily, which could end up breaking the seal. Which type of tape do you prefer to use and why? Thank you. You just helped me make the right choice for my art project! 😀 ~ Margie Y.